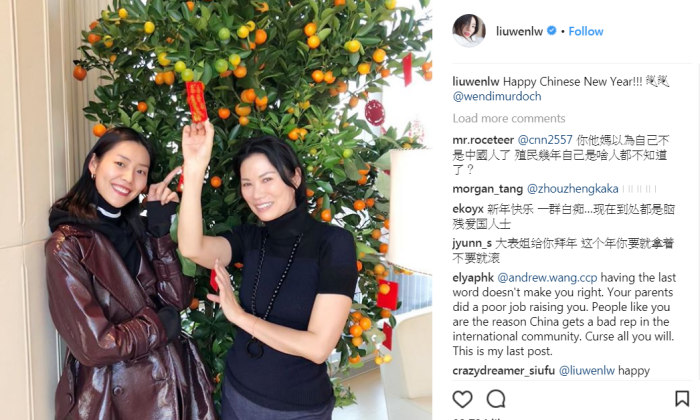 Chinese supermodel Liu Wen used the phrase “Happy Lunar New Year”, rather than “Chinese New Year” on her Instagram, prompting some Chinese social media users to accuse her of neglecting her heritage. Her account was bombarded with thousands of messages from nationalistic social media users who accused her of pandering to other Asian countries. “This is the downturn of your career, do you still know that you are Chinese?” a person wrote online. “This is disgusting, you have used Chinese New Year in the past two years, why would you change it? This is very disappointing,” another said. Another user advised Liu to have her own publicist to handle her PR since “you are a brand now gal… a supermodel”. Some people on the social media defended the Victoria’s Secret model, saying “There is nothing wrong with using lunar new year”. The supermodel has since changed her message to “Happy Chinese New Year”. 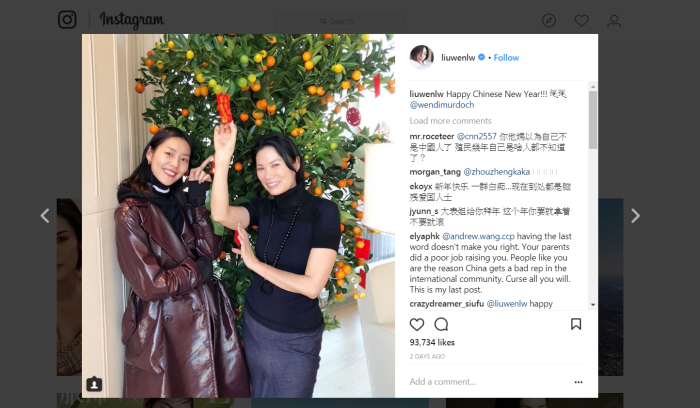 Interesting enough, Instagram is blocked in China, but many users have found ways of bypassing this, and Liu’s post was also reposted on Chinese social media. Earlier this month, car maker Mercedes-Benz apologised after it quoted the Dalai Lama in an Instagram post – incurring the wrath of many Chinese people online. The outcome of the 2016 Legislative Council Election has not only affirmed the power of Millennials in social mobilisation, but al.. The Futures Company has launched an office in Shanghai, expanding its Asia Pacific operation following the launch of a Singapore o..